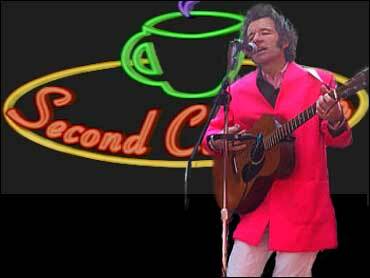 Dan Zanes & Friends brought some folk-rock music for children to The Saturday Early Show's Second Cup Café, but as Zanes explains, the songs are for all ages to enjoy. Zanes' new album "House Party," which ranks among the top-selling CDs of family music, was recorded with an ongoing parade of friends in his Brooklyn living room and released on his label, Festival Five Records. Zanes convinced some well-known musicians, most of whom he had met when he was the lead singer of the 1980s rock band The Del Fuegos, to participate in the project. The album features collaborations with Sheryl Crow, Lou Reed, Aimee Mann, Sandra Bernhard, Loudon Wainwright III and Bob Weir, as well as local talent from Zanes' neighborhood. Dan Zanes was born in Exeter, New Hampshire, in 1961 and first picked up the guitar when he was eight. But it was not until his junior high years that he discovered Chuck Berry records and immediately fell in love with rock 'n' roll. In 1981, Zanes went to Oberlin College in Ohio, where he met Tom Lloyd. The two created the Del Fuegos, which Rolling Stone named the "Best New Band" in 1984. The Del Fuegos made several records including "The Longest Day" (1984), "Boston, Mass" (1985), "Stand Up" (1987), "Smoking in the Fields" (1989), and they had a hit single, "Don't Run Wild." In 1987, Zanes married Paula Grief, the director of the video for the Del Fuegos song, "I Still Want You." In 1991, after the Del Fuegos had broken up, Zanes and his wife moved to Cornwallville, New York, in the Catskills. He learned how to record music on his own and made a solo album called "Cool Down Time." The couple later moved back to New York City. When they had children and Zanes wanted to buy music for them, he didn't like what he found, so he decided to create his own that both children and their parents could enjoy. So he started a band of fathers to create music for children, going by the name The Wonderland String Band. Later, he added mothers to the band and renamed it Rocket Ship Revue. Some of the artists who participated in the musical project were: Deborah Harry, Angelique Kidjo, Grateful Dead's Bob Weir, English folksinger David Jones, and Philip Glass, as well as the Rubí Theater Company, Rankin' Don (a.k.a. Father Goose) and others.